Last week, the Georgia Supreme Court confirmed that an insurance carrier’s duty to settle a claim against its policyholder arises only after an injured claimant presents a “valid offer” to settle within policy limits. In First Acceptance Insurance Company of Georgia v. Hughes, the Court found that, because the letter presented to First Acceptance by the injured parties’ counsel was not a time-limited settlement demand, First Acceptance’s failure to respond before the injured parties withdrew their offer did not constitute negligence or a bad faith failure to settle the claim within policy limits. In 2008, First Acceptance’s policyholder caused a multi-car crash killing the policyholder and injuring five others, including Julie An and her 2-year-old daughter. The policy had the minimum liability limits of $25,000 per person and $50,000 per accident. In January of 2009, First Acceptance’s counsel circulated correspondence to the attorneys for the multiple claimants indicating it was interested in a joint settlement conference to resolve the injured parties’ claims. On June 2, 2009, counsel for An and her daughter sent First Acceptance two letters – the first responding to First Acceptance’s suggestion of a joint settlement conference and expressing his clients’ interests in settling their claims within policy limits, and another requesting information about the policy within 30 days of the date of the letter. First Acceptance’s counsel did not view the letters as including a time-limited demand. As a result of a clerical error, both letters were inadvertently filed away with medical records. When First Acceptance did not respond to either letter within 30 days, claimants’ counsel sent a letter advising First Acceptance that its offer to settle was rescinded. First Acceptance continued settlement efforts by inviting claimants to a joint settlement conference with the other claimants, and offering to settle their claims for policy limits. Claimants rejected the offers. After a 2012 trial, a jury found in favor of the claimants and against the policyholder awarding over $5.3 million dollars in damages. The policyholders’ estate then sued First Acceptance claiming that First Acceptance’s failure to settle the claims within the policy limits led to the excess judgment. The trial court granted summary judgment to First Acceptance only to have the Georgia Court of Appeals reverse the grant of summary judgment on the failure-to-settle claim. The Georgia Supreme Court agreed with First Acceptance in its unanimous decision, stating that an insurer’s duty to settle is not triggered until an injured claimant has made a valid settlement offer. It found that, when considering the two letters sent to First Acceptance on June 2, 2009 as a whole, they did not include a 30-day deadline for acceptance. Instead, the Court viewed the offer to settle for policy limits as an alternative to claimants’ participation in the proposed global settlement conference. Without a clear deadline, First Acceptance could not have reasonably known it needed to respond within a certain time or risk that its insured would be subject to a judgment in excess of the policy limits. Thus, the Court held First Acceptance did not act negligently or in bad faith when it failed to settle the claims within policy limits. Georgia’s high court also addressed the estate’s argument that First Acceptance knew or should have known that the minor daughter’s injuries were the most severe, and therefore, it should have settled her claim first. The Georgia Supreme Court disagreed with this position, finding that there was no precedent requiring that an insurer settle part of multiple claims. Instead, it found that a settlement of multiple claims including the minor’s claim was in the insured’s best interest as such a settlement would reduce the overall risk of excess exposure. Ultimately, First Acceptance dodged a $5.3 million dollar bullet with Georgia’s highest court concluding that First Acceptance was entitled to summary judgment and reinstating the trial court’s ruling. This case serves as an important reminder to be cognizant of language in correspondence from injured parties that could be considered to be a valid settlement offer and to diligently calendar response dates and timely respond to such offers. First Acceptance Insurance Co. of Georgia Inc. v. Hughes, Case No. S18G0517, in the Georgia Supreme Court. Litigation usually involves complex issues related to technology, products, or business processes. In many cases, clients are the best subject-matter experts of their craft. Nevertheless, attorneys are sometimes hesitant to designate a client or a client’s employee as an expert witness for fear of waiving attorney-client privilege. In a recent decision, the Supreme Court of Texas addressed this very issue and held that the attorney-client privilege remains unscathed when a party (or its corporate representative) is designated as a testifying expert witness. See In re City of Dickinson, — S.W.3d —, No. 7-0020, 2019 WL 638555 (Tex. Feb. 15, 2019). City of Dickinson concerned whether a property insurer underpaid insurance benefits related to a Hurricane Ike claim made by the City of Dickinson. In responding to the City’s motion for summary judgment, the property insurer filed the affidavit of its corporate representative who was also a senior claims examiner. Unsurprisingly, the affidavit offered factual and expert testimony in opposition to the dispositive motion. The City later learned the corporate representative exchanged emails and drafts of the affidavit with defense counsel. The City then moved to compel the production of the emails and all other information “provided to, reviewed by, or prepared by or for” the corporate representative in anticipation of his expert testimony. Naturally, the property insurer claimed the documents were protected by the attorney-client privilege. The trial court, however, disagreed and granted the motion to compel. The intermediate appellate court reversed, finding the information sought was privileged. On appeal, the Court addressed whether Texas Rules of Civil Procedure 192.3 and 194.2 barred the property insurer from asserting attorney-client privilege. Rule 192.3 concerns the scope of discovery and provides that, with respect to a testifying expert, “[a] party may discover . . . all documents, tangible things, reports, models, or data compilations that have been provided to, reviewed by, or prepared by or for the expert in anticipation of a testifying expert’s testimony[. ]” In construing Rule 192.3, the Court noted that the use of the word “may” merely meant that an opposing party could discover the information—not that it had an absolute right to discover it when a privilege applied. The Court also noted that another subpart of Rule 192.3 expressly precluded the discovery of privileged information. The Court also rejected the City’s argument that the Texas Rules of Civil Procedure should be interpreted the same as the pre-2010 Federal Rules of Civil Procedures because they were modeled after them. The Court summarily rejected the argument because the comments to the rules where substantively different. City of Dickinson provides clarity in a previously unsettled area of Texas law. Further, it reinforces the importance of the attorney-client privilege and clarifies that a client does not have to choose between testifying as an expert at trial and invoking attorney-client privilege. Going forward, we expect the primary party-expert dispute to center on whether materials provided to the party-expert constitute discoverable work product under Christus Spohn or protected attorney-client privilege under City of Dickinson. Indeed, as the Court noted in its opinion, the two privileges are often conflated. In a surprising decision on rehearing, on February 4, 2019, a panel of the Louisiana Third Circuit Court of Appeal reversed itself and held that bad faith claims arising out of an insurance contract are subject to a ten-year prescriptive period rather than a one-year prescriptive period. Fils v. Starr Indemnity & Liability Company, — so. 3d — (La. App. 3rd Cir. 5/9/2018)(on r’hrg), centered on the timeliness of the plaintiff’s bad faith claims against his uninsured motorist carrier. 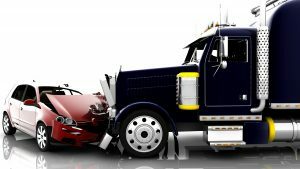 Dissatisfied with the $45,000 that his UM carrier had tendered following a motor vehicle accident on August 28, 2013, the policyholder filed suit against the insurer for additional benefits the day before the expiration of the two-year prescriptive period applicable to claims for UM benefits. Sixteen months later, the insured amended his petition, alleging bad faith on the part of the UM carrier and seeking penalties and attorneys’ fees pursuant to Louisiana’s two “bad faith” statutes, La. R.S. 22:1973 and La. R.S. 22:1892. The trial court sustained the insurer’s exception of prescription and dismissed the bad faith claims with prejudice. Progressive recently settled a bad faith lawsuit with the guardians of a child injured in a car accident driven by a Progressive policyholder, Earl Lloyd. Progressive faced liability for an underlying judgment in excess of $22 million against Lloyd, who had purchased a $10,000 auto policy from Progressive. The bad faith lawsuit alleged that Progressive failed to advise its insured regarding the significance of executing a financial affidavit. Had the insured executed the financial affidavit, the claimant allegedly would have accepted the insured’s $10,000 policy limits in exchange for a release of Lloyd. The case, Wallace Mosley v. Progressive American Insurance Company, was set for trial beginning December 10, 2018 in the U.S. District Court for the Southern District of Florida before Judge Beth Bloom. On November 25, 2018, Judge Bloom denied Progressive’s motion for summary judgment, finding there were questions of fact as to whether Progressive breached its duty of good faith to Lloyd by failing to advise him of the consequences of not signing the financial affidavit. Mosley by & Through Weaver v. Progressive Am. Ins. Co., No. 14-CV-62850, 2018 WL 6171417 (S.D. Fla. Nov. 25, 2018). The court explained that because the focus is on the conduct of the insurer, the reasons why Lloyd refused to sign the affidavit were irrelevant. Other alleged failures on the part of Progressive also led to the court’s decision. The $22.7 million underlying trial court judgment arose out of an auto accident that occurred in November 2008, when Lloyd struck an 11-year-old boy, Wallace Mosley, who was riding a scooter into the roadway. Lloyd failed to report the accident to Progressive. Progressive learned about the accident nearly 10 days later from Rosa Lopez, an attorney representing a relative of Mosley. Lopez provided a copy of the police report to Progressive which indicated Mosley was struck by Lloyd who was “traveling at a high rate of speed.” Mosley was thrown approximately 100 hundred feet. Progressive assigned the matter to its claims professional, who made several attempts to contact Lloyd. Progressive subsequently issued a reservation of rights letter to Lloyd based on his failure to notify Progressive of the accident. Progressive did not, however, deny coverage. On December 4, 2008, without the benefit of any communications with Lloyd, any medical records, or even a settlement demand, Progressive tendered Lloyd’s $10,000 policy limits to Mosley’s counsel. Four days later, on December 8, 2008, Lloyd finally contacted Progressive. On December 9, 2008, Lopez sent Progressive a 12-page financial affidavit as a condition of settlement. The cover letter advised that if the affidavit revealed no visible assets, Mosely would execute a release and settle the claim; absent execution within two weeks, suit would be filed. Progressive contacted Lloyd and forwarded the affidavit on the same day it was received. Despite the contemporaneous call notes in Progressive’s claim file reflecting communications about the affidavit, Lloyd contended that, other than the transmittal, Progressive did not advise Lloyd of the consequences of not signing the affidavit; nor did Progressive send him an “excess letter” explaining that he could be exposed to liability in excess of the policy limits. Lloyd, who believed he was a “Sovereign Citizen of Moorish Descent,” refused to sign the affidavit based on his moral and religious beliefs. On May 5, 2009, Mosley filed suit against Lloyd. Lloyd again failed to notify Progressive that he had he had been served with a complaint. Progressive learned of the suit from claimant’s counsel and immediately retained defense counsel to represent Lloyd. Defense counsel made several efforts to meet with Lloyd to discuss the affidavit. Despite ultimately meeting with defense counsel, Lloyd still refused to execute the affidavit. During his deposition in the underlying case, Lloyd testified that he was an Apostle of God who had previously raised people from the dead, that he had sovereignty because of his Moorish beliefs, and that he was immune from suit brought by the claimant. The matter proceeded to trial in October 2014, and a $22.7 million judgment was entered against Lloyd. Lloyd subsequently entered into an agreement with Mosley assigning his bad faith claim against Progressive in exchange for an agreement not to execute the $22.7 million judgment. On May 5, 2009, Mosley filed suit against Progressive for third party bad faith. Progressive moved for summary judgment, claiming it properly advised Lloyd and asserting Lloyds’ stated religious beliefs as the reason why the affidavit was not executed. The court denied Progressive’s motion, explaining that under Florida law, Progressive has a “fiduciary relationship” with its insureds, which requires it to refrain from acting solely on the basis of the its own interests. Importantly, the court noted that “Progressive did not send Lloyd any written communications explaining the significance of the Affidavit or the potential of an excess judgment being placed against him personally during the critical 14-day deadline,” nor did Progressive advise Lloyd of the steps he might take to avoid an excess judgment, as required by Boston Old Colony Ins. Co. v. Gutierrez, 386 So. 2d 783 (Fla. 1980). While the court acknowledged that Lloyd’s assertion of sovereignty “may be a factor to consider,” the court determined Progressive was not entitled to summary judgment in light of Lloyd’s arguably self-serving testimony that had Progressive properly advised him, he would have signed the affidavit. The court explained: the “focus in a bad faith case is not on the actions of the claimant but rather on those of the insurer in fulfilling its obligations to the insured.” Berges v. Infinity Ins. Co., 896 So. 2d at 677 (Fla. 2004). Less than two weeks after the court issued its summary judgment ruling, Progressive settled the matter. This case is yet another example, in the wake of the Florida Supreme Court’s ruling in Harvey v. GEICO Gen. Ins. Co., No. SC17-85, 2018 WL 4496566 (Fla. Sept. 20, 2018), of a $10,000 policy ballooning to one with significantly higher limits, for which the insured did not pay a premium. The case further emphasizes the heightened duties some states, including Florida, impose on insurers to adequately advise policyholders of the consequences of litigation, particularly in matters with potentially great exposure and low policy limits, and confirming that advice in writing. The Florida Supreme Court recently decided Harvey v. GEICO Gen. Ins. Co., No. SC17-85, 2018 WL 4496566, at *1 (Fla. Sept. 20, 2018), an important case setting forth what many will try to argue has lessened the standard for bad faith law in Florida to one of negligence plus. The case has a detailed but uncomplicated factual history. However, the factual summary contained in the majority’s opinion must be read along with that of Justice Canady’s dissent in order to understand the full picture factually. On August 8, 2006, GEICO’s insured, James Harvey (“Insured” or “Mr. Harvey”), was in a motor vehicle accident. The accident resulted in the fatality of the other driver, and Mr. Harvey was at fault. Mr. Harvey was insured by a GEICO auto policy with $100,000 liability limits. The claim was assigned to GEICO adjuster Fran Korkus, who promptly interviewed Mr. Harvey. On this same date, Mr. Harvey contacted a local attorney whom he did not actually hire (and, in fact, as noted in a footnote in Justice Canady’s dissent, worked for the same law firm who ultimately represented the estate). On August 11, 2006, GEICO sent its Insured a letter explaining that the estate’s claim could exceed his policy limits and that he had the right to hire his own attorney, which he did. A paralegal employed by the estate’s attorney called Ms. Korkus on August 14, 2006, requesting a statement to determine the extent of Mr. Harvey’s assets. The paralegal did not give Ms. Korkus a deadline to provide the statement. It is disputed whether the request was communicated to Mr. Harvey. Ms. Korkus’s contemporaneous file notes indicate that she “updated [Mr. Harvey] on claim status” and advised him of the firm retained by the estate. Despite Ms. Korkus’s notes, Mr. Harvey testified that “to the best of his recollection,” Ms. Korkus did not mention that the paralegal had asked about other insurance coverage and Mr. Harvey’s assets. On August 17, 2006, nine days after the accident, GEICO tendered the full amount of Harvey’s $100,000 policy limits to the estate’s attorney, along with a release. Multiple log entries indicate that GEICO had to first contact the estate’s law firm because it had not yet provided a letter of representation. On this same date, Mr. Harvey gathered all of his asset information and set up a meeting with his personal attorney to take place on August 23, 2006. Indeed, Mr. Harvey later testified that he gathered this information and set up the meeting because of GEICO’s August 11, 2006 letter. On August 23, 2006, Mr. Harvey met with his personal attorney. Testimony revealed that Mr. Harvey owned certain liquid assets exceeding $900,000, plus four motor vehicles and two houses. The estate’s attorney testified that in his view, the only “collectible” asset was $85,000 in the operating account of Mr. Harvey’s business. The estate’s attorney testified that, had he been able to take a statement of Mr. Harvey, he would have recommended to his client that she accept the $100,000 tender of policy limits. The attorney wrote back to Ms. Korkus in response to GEICO’s tender, acknowledging receipt of the check and Ms. Korkus’ apparent refusal to make Mr. Harvey available for a statement. Ms. Korkus received the letter on August 31, 2006 and faxed it to Mr. Harvey that same day. Further, on this same day, Ms. Korkus contacted the estate’s attorney, who faxed Ms. Korkus a letter memorializing their conversation, confirming that he wanted a statement to determine the extent of Mr. Harvey’s assets and that Ms. Korkus was “unable to confirm that [Mr. Harvey] would be available for a statement.” Ms. Korkus’s contemporaneous file notes, however, indicated that she advised the estate’s attorney that she would contact Mr. Harvey and pass the information along so he could decide whether to provide the statement. The next day, on September 1, 2006, Mr. Harvey called Ms. Korkus to discuss the letter from the attorney. A log entry from Ms. Korkus reflected that the insured advised her that his attorney would not be available until after the holiday weekend on September 5, 2006 and requested that she contact the estate’s attorney to notify him of this. Despite Mr. Harvey’s request, and instructions from her supervisor to do so, Ms. Korkus did not relay this message to the estate’s attorney. At Mr. Harvey’s request, Ms. Korkus also faxed a copy of the letter to Mr. Harvey’s personal attorney. On September 11, 2006, the estate’s attorney met with his client, explained bad faith law, and recommended that the estate file suit. On September 13, 2006, the estate returned the check to GEICO and filed a wrongful death suit against Mr. Harvey. A jury found Mr. Harvey 100% at fault and awarded the estate $8.47 million in damages. Mr. Harvey filed a bad faith suit against GEICO, which proceeded to trial. GEICO moved for directed verdict, which the court denied, and the jury found GEICO in bad faith. Judgment was entered against GEICO in the amount of $9.2 million. GEICO moved for judgment notwithstanding the verdict, which was also denied. With respect to the first, the 4th DCA acknowledged that while Ms. Korkus did not immediately notify Mr. Harvey of the estate’s request for a statement, she did so on August 31, 2006. Moreover, the estate never conveyed to Ms. Korkus that settlement was contingent on his providing a statement. With respect to the second, third, and fourth factors, the 4th DCA found that GEICO’s August 11, 2006 letter, which notified Mr. Harvey of a possible excess judgment and advised him of his right to hire an attorney, satisfied each of these. With respect to the fifth factor, the 4th DCA found that there was no evidence that GEICO was deficient in its investigation of the facts. With respect to the sixth factor, the estate never provided GEICO with a settlement demand prior to filing suit, so GEICO could not have given consideration to an offer. With respect to the seventh factor, the 4th DCA noted that GEICO tendered its policy limits nine days after the accident, without any demand from the estate. The 4th DCA also relied on Novoa v. GEICO Indem. Co., 542 F. App’x 794 (11th Cir. 2013), analogizing the 11th Circuit’s findings in that case, namely, that although the evidence reflected that the insurer could have handled the claim better, this amounted to negligence, not bad faith. The 4th DCA further explained that while evidence of carelessness is relevant to proving bad faith, the standard for determining liability in an excess judgment case is bad faith rather than negligence. Next, the 4th DCA, relying on Perera v. U.S. Fidelity & Guar. Co., 35 So.3d 893, 903–04 (Fla. 2010), noted that not only must there be actions demonstrating bad faith on the part of the insurer, but the insurer’s bad faith must also have caused the excess judgment. The 4th DCA explained that GEICO did not fail to meet any deadlines or other requirements established by the estate, as a requirement for settling the claim and avoiding the filing of a lawsuit against its insured. Lastly, the 4th DCA noted that as the Eleventh Circuit explained in Novoa and Barnard v. Geico Gen. Ins. Co., 448 F. App’x 940 (11th Cir. 2011), where the insured’s own actions or inactions result, at least in part, in an excess judgment, the insurer cannot be liable for bad faith. However, the 4th DCA did not actually make any findings or comparisons on this final point. In a 4-3 decision, the Florida Supreme Court quashed the 4th DCA’s opinion and directed that the jury verdict and final judgment be reinstated. The majority opinion was written by Justice Quince. Justices Canady and Polston each wrote lengthy dissents. In essence, the Florida Supreme Court held that the Boston Old Colony factors are not the only factors involved in the bad faith inquiry. Instead, it found that because GEICO “completely dropped the ball” by failing to coordinate Mr. Harvey’s statement (a demand GEICO received before even receiving a letter of representation from the estate’s attorney), it was in bad faith. Harvey, 2018 WL 4496566 at *6. The majority dedicated a significant portion of its analysis to discussion of the 4th DCA’s reliance on Novoa and Barnard for the idea that the insured’s conduct is relevant to the inquiry of bad faith. Indeed, as discussed above, the 4th DCA based its decision on the Boston Old Colony factors, not Mr. Harvey’s conduct, and simply made mention of Novoa and Barnard. Indeed, as Justice Polston explained in his dissent, “[t]he Fourth District’s comment in Harvey regarding the insured’s actions or inactions was dicta and only mentioned after Fourth District reached its holding that GEICO fulfilled its obligations of good faith to the insured.” Harvey, 2018 WL 4496566 at *18 (Polston, J., dissenting). The majority acknowledged that “it is true that negligence is not the standard.” Id. at *7. At the same time, the majority found that the Florida Supreme Court “made clear in Boston Old Colony that because the duty of good faith involves diligence and care in the investigation and evaluation of the claim against the insured, negligence is relevant to the question of good faith.” Id. It continued on to explain that by relying on [the Eleventh Circuit’s opinion in Novoa] in lieu of this Court’s binding precedent in Boston Old Colony, the Fourth District minimized the seriousness of the insurer’s duty to act in good faith with due regard for the interests of its insured.” Id. Rather than take issue with the Fourth District’s analysis of the specific Boston Old Colony obligations, the majority points to the Fourth District’s purported failure to focus on the more general language in Boston Old Colony regarding an insurer’s duty to use “the same degree of care and diligence as a person of ordinary care and prudence should exercise in the management of his own business.” E.g., majority op. at –––– (quoting Boston Old Colony, 386 So.2d at 785). In doing so, the majority completely divorces that general language from the specifically enumerated obligations and effectively adopts a negligence standard for bad faith actions, even though negligent claims handling does not amount to bad faith failure to settle. See Campbell, 306 So.2d at 530 (noting that the “standard[ ] for determining liability in an excess judgment case is bad faith rather than negligence”); see also Auto Mut. Indem. Co. v. Shaw, 134 Fla. 815, 184 So. 852, 858 (Fla. 1938) (noting that bad faith involves “a heavier burden upon the insured” than does negligence). Notably absent from the majority’s opinion is any mention of the fact that on August 23, 2006, three weeks before suit was filed, Mr. Harvey had gathered all of his financial documents and met with his attorney to discuss his assets. There was also no mention of the fact that Mr. Harvey in fact had $1 million in assets, independent of his insurance, that at no point since August 2006 did Mr. Harvey ever offer to provide a statement, and that at no point since August 2006 did the estate ever attempt to collect from Mr. Harvey. Further, the majority failed to acknowledge that the estate never provided a settlement demand, advise GEICO of any deadline for providing the statement, or even provide GEICO with a letter of representation until August 17, 2006, the day GEICO tendered its policy limits to the estate. The effect of the majority’s opinion is that, in Florida, the standard for proving bad faith is essentially whether the insurer “dropped the ball,” which while the court acknowledged bad faith takes more than negligence, still sounds a lot like negligence. Moreover, the majority’s opinion brings into question whether the insured’s actions—or the claimant’s actions—are a part of the inquiry. This is indisputably in conflict with the fourth Boston Old Colony factor, in which the Florida Supreme Court explained that one of the bad faith factors requires the insurer to advise the insured of any steps he might take to avoid an excess judgment. This, arguably, means that while an insurer has a duty to advise, the insured’s failure to act on that advise will not be held against the insured. As Justice Canady explained in dissent, it is also in conflict with the Florida Supreme Court’s ruling in Berges v. Infinity Ins. Co., 896 So. 2d 665 (Fla. 2004), where the court conducted significant analysis of the insured’s conduct in that case, in that the insured at all times contested liability, requested the insurer not to settle, and executed a hold harmless agreement assuming responsibility for any excess judgment. In other words, Florida Supreme Court precedent clearly requires analysis of the insured’s actions as well as the insurer’s. The result of the majority’s decision is that an insured who caused damages that exceeded his policy limits by over 8,000 percent, who had assets that greatly exceeded his policy limits, and who at no time ever offered to provide his financial information to the third-party claimant despite knowing that the information was being requested even after the policy limits were tendered, has his $100,000 policy converted into an $8.47 million policy, while other insurance customers eventually foot the bill. Harvey, 2018 WL 4496566 at *12 (Canady, J., dissenting). Insurers must be aware of what this decision inevitably encourages: “a rush to the courthouse steps by third-party claimants whenever they see what they think is an opportunity to convert an insured’s inadequate policy limits into a limitless policy.” Id. at *16 (Canady, J., dissenting). In light of the current climate in Florida, it is especially important for insurers to communicate and act promptly and ensure that claim files are specifically documented, especially in cases of high value with low policy limits. From the high market cap Bitcoin, Ether, Ripple, and Litecoin, to the quirky Fonziecoin, Selfiecoin, Pizzacoin, and (thank you, Dennis Rodman) Pot Coin, we have all been blasted by news of crypto and blockchain, and tales of kids in their parents’ basements getting rich off this new wonder that many of us struggle to understand. But what we might not have heard of, or thought about, is potential insurance coverage under a homeowner’s insurance policy in the event of theft of this “alt” currency. On September 25, 2018, a Columbus, Ohio trial court judge denied an insurer’s motion for judgment on the pleadings on the grounds that its assessment of Bitcoin as “money” subject to a $200.00 sublimit under a homeowner’s insurance policy was proper and, therefore, the insured had no claims for breach of contract or bad faith. In doing so, Judge Charles A. Schneider relied on Internal Revenue Service Notice 2014-21, which provides that, “[f]or federal tax purposes, virtual currency is treated as property.” While termed “virtual currency,” the IRS recognized Bitcoin as property “and [Bitcoin] shall be recognized as such by this Court.” Kimmelman v. Wayne Ins. Grp., Case No. 18-cv-001041, Doc. 0E337-P71 (Ohio Ct. Comm. Pl., Civ. Div. Sept. 25, 2018). In August 2017, the insured, James Kimmelman, submitted an insurance claim to his insurer, Wayne Insurance Group (“Insurer”), reporting roughly $16,000.00 of Bitcoin stolen from Kimmelman’s digital wallet. The Insurer investigated the claim and made a payment of $200.00 to Kimmelman, determining the Bitcoin was “money” and governed by a sublimit within the policy. Aggrieved, Kimmelman filed suit against the Insurer in February 2018, asserting claims for breach of contract and bad faith. The Insurer moved for judgment on the pleadings, which the court addressed in its September 25, 2018 order. The court began by setting forth the applicable standard of review under Ohio state court procedural rules which, for judgment on the pleadings, is similar to that under Federal Rule of Civil Procedure 12(c). The court was limited to the allegations set forth in the complaint, accepted as true, with all inferences drawn in favor of the non-moving party. Only if it appeared beyond doubt that Kimmelman could prove no set of facts entitling him to relief would the court grant the Insurer’s motion. See Id. p. 2 (citing State ex rel. Midwest Pride IV, Inc. v. Pontious, 75 Ohio St.3d 565, 570 (1996)). The Insurer argued Bitcoin is generally recognized as “money,” citing articles from CNN, CNET, and the New York Times. The Insurer also cited IRS Notice 2014-21, which subscribed the term “virtual currency” to Bitcoin. The court quickly disposed of Kimmelman’s responsive arguments, finding the authorities neither governing nor persuasive. Accordingly, the court held that the only authority it could “rely on in determining the status of Bit[c]oin is” IRS Notice 2014-21. Under the notice, “‘[f]or federal tax purposes, virtual currency is treated as property.’” Id. p. 3 (quoting IRS Notice 2014-21). Even though the IRS used the term “virtual currency,” the court found the IRS recognizes Bitcoin as property and, therefore, the court also recognized Bitcoin as property for purposes of the policy’s available limits of coverage. In summary, the court held Kimmelman had properly plead his breach of contract and bad faith claims, denied the Insurer’s motion for judgment on the pleadings, and lifted the discovery stay. While the coverage result might be different in this case on a subsequent motion for summary judgment, the court broadly held that it was recognizing Bitcoin as property under the policy. Thus, it is also possible that, in subsequent dispositive motion rulings in this case, the trial judge will reiterate that position. However, given that this appears to be an issue of first impression in Ohio and much (if not the entire) country, and in light of the IRS’s own use of the term “virtual currency,” on summary judgment review, the insurer should have valid arguments that it committed no bad faith. Tokles & Son, Inc. v. Midwestern Indem. Co., 65 Ohio St. 3d 621, 630, 605 N.E.2d 936 (Ohio 1992) (denial reasonably justified where “the claim was fairly debatable and the refusal is premised on either the status of the law at the time of the denial or the facts that gave rise to the claim”). Cryptocurrencies and blockchain technologies present both emerging risks, and opportunities, for insurers in the global marketplace. As these technologies become more ubiquitous in our economy and everyday lives, the impact of rulings such as Kimmelman will likewise become more significant. Because Kimmelman serves as an early ruling on first-party property and bad faith issues associated with coverage for theft of cryptocurrencies, insurers can expect a great deal of citation to the opinion by policyholders. Insurers wishing to eliminate the risk of coverage for loss of cryptocurrencies may consider modifying policy language to expressly exclude coverage for virtual currencies. While the policy also included sublimits of $500.00 for “electronic funds” and $1,500.00 for “securities,” which the Insurer raised in its motion, the court’s opinion offered no analysis of whether those sublimits would apply to Bitcoin or other forms of cryptocurrency.